Last year, the best-selling drug world-wide was a biologic comprising a monoclonal antibody. In fact, seven of the 20 best-selling drugs world-wide were therapeutic monoclonal antibodies for the treatment of a wide range of conditions, including rheumatoid arthritis, autoimmune disease and a broad range of cancers. The drugs brought in billions of dollars in sales to pharmaceutical companies, and monoclonal antibodies are expected to become even more valuable in the years to come. As the pharmaceutical industry continues to shift toward biologic-based drugs, including monoclonal antibodies, protecting the underlying technology has been and continues to be a priority for companies. Indeed, patents covering these antibody drug products can be worth – literally – billions of dollars, and that amount is likely to keep growing. However, as the science and case law in this area has evolved, biopharmaceutical companies now face steeper hurdles in obtaining the broadest possible patent protection, even when compared to only a few years ago. As with any drug, patenting therapeutic monoclonal antibodies as early as possible in the drug development process is crucial to protect the underlying invention. In the early days of antibody discovery for therapeutic development, protection could be obtained with minimal disclosure of the actual antibody. But as the art and case law have evolved, companies now need far more data to obtain the broadest scope of protection. For that reason, it has become more of a challenge to determine the best time to file with the U.S. Patent and Trademark Office (USPTO). 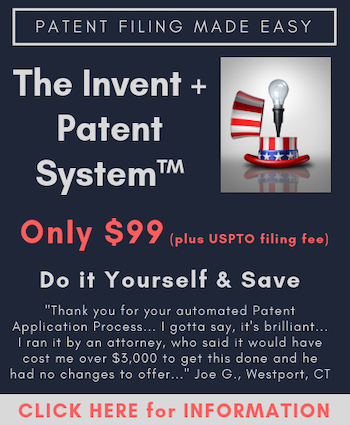 After the America Invents Act (AIA), it is a race to the USPTO to be the first to claim your invention, but you may lack the requisite data to enable you to obtain patent protection in the end. Take, for example, patents which disclose the antibody by either the paratrope (the part of the antibody that binds to the antigen or the target protein) or the epitope (the part of the target protein that the antigen binds to.) Back in the 1990s, a company could pursue broad patent protection by merely claiming “an antibody that binds to antigen (fill in the region),” without disclosing an actual antibody that has been shown to bind that antigen. Companies would also obtain more narrow coverage of their antibody with claims directed to the sequence of the antibody. Those claims formed the basis for the first generation of antibody patents. As the first-generation patents have begun to expire, biopharmaceutical companies, through their product life cycle management strategy, have pursued and developed second generation, follow-on antibodies. Unfortunately, obtaining the broad scope of protection previously achieved for the first-generation antibodies has become increasingly more difficult. First, in order to overcome issues of anticipation and obviousness, they must demonstrate enough of a difference between the new antibody and the old. In addition, to obtain broad coverage to a genus of antibodies, no longer can they rely upon the “antibody exception” to satisfy written description and enablement. They must now provide significant concrete data, through the making and testing of a representative number of antibodies that fall within the claimed genus and / or by providing more detailed epitope mapping information. This increased scrutiny of antibody patents evolved as the first-generation antibody patents have been challenged in court. Courts have been narrowing the scope of protection that can be claimed and the requirements to get a claim in the first place. A useful starting point is Regents of the University of California v. Eli Lilly. While not directly related to antibodies, the holding remains relevant to the issues companies are facing today. In that 1997 ruling, the Federal Circuit determined that if a company is claiming a genus of biologic sequences (in that instance, DNA sequences), it must disclose a representative amount of examples of the genus. However, this precedent was not applied to antibody patents. Instead, the USPTO created the doctrine commonly referred to as the “antibody exception,” which allowed inventors to claim an antibody without describing what the antibody really was. Relying on the premise that the antibody-antigen relationship is lock and key, the USPTO found that as long as you had a new antigen and fully characterized its structure, it was a matter of routine experimentation to create an antibody that bound to it. Therefore, in the case of antibodies, a company could disclose and characterize the antigen and claim an isolated antibody that bound to that antigen without even disclosing a working example of such an antibody. In 2011, the Federal Circuit narrowed the antibody exception in Centocor Ortho Biotech, Inc. v. Abbott Laboratories. The issue focused on whether Centocor’s patent satisfied the written description requirement. Centocor had used a mouse model to develop its antibody and then combined that mouse antibody with human elements to make a chimeric antibody. However, in its patent, while it disclosed and characterized the antigen, it only disclosed how to make that chimeric antibody, despite claiming a human antibody. The Federal Circuit found the patent invalid for lack of written description. Description of how to make one type of antibody (i.e., chimeric) did not support a claim to make another type (i.e., human). Therefore, Centocor was found to have claimed more than it described. As a result, no more could companies simply describe the antigen and be entitled to any kind of antibody that binds to it. They now had to describe examples of the specific types of antibodies they were claiming. In October of last year, the Federal Circuit issued an opinion that solidified the shift toward requiring more data when disclosing and claiming antibodies, altering how companies can protect their antibody inventions. In Amgen v. Sanofi, the Federal Circuit ruled that in order to obtain broad patent coverage for a class of antibodies that bind to a particular antigen and perform a particular function, companies must disclose a sufficient number of representative antibodies across the claimed genus or establish a clear relationship between the function of the antibody and the genus of the antibody in their specification. In Sanofi, the patent involved a monoclonal antibody that bound to one or more of 15 different amino acid residues on the sequence of the target antigen. The patent also included functional language for when the antibodies blocked the antigen from binding to its target. Amgen used that patent to claim the antibodies that bound one of the 15 residues or any combination of them. The patent disclosed two antibodies with the support of specific binding data and affinity data, which should have been sufficient under the standard set forth in Centocor. However, the Federal Circuit ruled that the disclosure of two antibodies that fell within the claimed genus was insufficient. After noting that the precedential value of Centocor was limited in this case, it went on to say that patent specifications must disclose a representative number of species of the genus of claimed antibodies in order satisfy the written description, bringing the patent requirements of antibodies full circle to Eli Lily. While the Federal Circuit said that two representative antibodies were not enough, it did not provide guidance as to how many antibodies within the genus need to be disclosed to reach the representative number threshold. Instead, it remanded the case back down to the lower court, which is still considering the issue. As a result, an open question as to what counts as a representative number of species remains today. That open question has been the subject of much debate and has changed the strategy for obtaining antibody patent protection. Companies now likely need far more experimentation and data to be able to support broad claims with adequate written description. However, that amount of experimentation takes time and significant resources. At the same time, biopharmaceutical companies face a race to the patent office. Depending on where the Sanofi ruling falls, either at the Supreme Court or back at the district court level, it could not only call into question the sufficiency of the disclosure of already issued antibody patents but also forever alter the type of patent protection available to antibodies and a company’s strategy for obtaining the broadest scope of protection possible. Without question, data – such as epitope mapping and the creation and screening of antibodies that bind to the target antigen – has become the key to achieving broad patent protection for antibodies. There are a variety of ways the data can be used to build the case, including differences in affinity, aggregation behavior and cross-activity. All of those can help distinguish first-generation from second-generation drugs and meet the narrowing specificity requirements that are currently being applied by the USPTO and the courts. As we have previously noted though, it is also important to file as early as possible. That need and the opposing need for more data creates a dichotomy that is challenging for companies to navigate. In addition, costs can escalate quickly in an effort to characterize a broader number of species of the genus. However, there is a roadmap that life sciences companies can follow to still maximize the value of their patents. Like any invention, the first step is performing a freedom-to-operate analysis for any new therapeutic monoclonal antibodies. It is critical to understand the universe you are dealing with and how crowded the space may be. This analysis will also help uncover potential issues of novelty or obviousness that may be problematic if you ultimately do decide to pursue a patent. After the freedom-to-operate analysis and a review of what the market is for the particular antibody and its target, a candid business discussion must be had regarding the risks and benefits of investing what is likely to be a significant amount of capital for the additional characterizations now required to support broader protection. This is an area where experienced patent counsel can help, working together with scientists and others in the business to develop and implement the best strategy. Once the decision is made to move forward, companies should work closely with their patent counsel to develop a strategy for how to achieve the most comprehensive and valuable patent protection for their antibodies. There are several options for claiming antibodies. One is by function alone, but that now requires considerably more data to describe the binding by the antigen. Companies could also claim the sequence of the antibody itself. That is the narrowest option, which makes it easier to patent but also easier to design around. The strongest, broadest option is to claim by epitope binding of the antigen plus function. However, as we saw in the aftermath of Sanofi, this approach will require a representative number of examples of the genus – and that number remains an open question. Besides these options directed to claiming the antibody itself, there are other mechanisms to achieve additional patent protection, for example, through claiming a pharmaceutical composition. While, arguably, these types of claims are easier to design around, their value lies in that they have historically been very difficult to invalidate in inter partes reviews. The Patent Trial and Appeal Board (PTAB) rarely institutes challenges on those, and when it has, the claims almost always survive. Another option to expand an antibody’s life cycle portfolio is by developing antibody conjugates. Generally, these claims are narrower because they describe an antibody with a particular sequence fused to or conjugated to a drug. While it is easier to show that claims to antibody conjugates are novel and not obvious, they will still face the same challenge as other claim types when it comes to how much data and support need to be included in the patent specification and how broadly companies can claim the antibody conjugate. Finally, the last common way of claiming an antibody is through method of use or treatment. However, these claims have not fared well at the PTAB. This could be because it is easy to argue that if you knew the antigen and you knew what it did, of course you would want to develop an antibody against that antigen to treat people with it. For those reasons, method of treatment claims are probably the weakest layer of patenting in this area. Bottom line, the evolution of patent case law has made it more challenging for pharmaceutical companies to obtain broad protections for their therapeutic monoclonal antibodies. But, the future of obtaining protection for antibodies is not shattered. With the right strategy to balance the amount of data and investment required, broad antibody patent protections remain attainable. Within this current climate, it is more important than ever to partner with experienced counsel to develop the best strategy on a case-by-case basis, particularly in view of any outcome of the Sanofi case, as well as how lower courts and the USPTO respond to it.